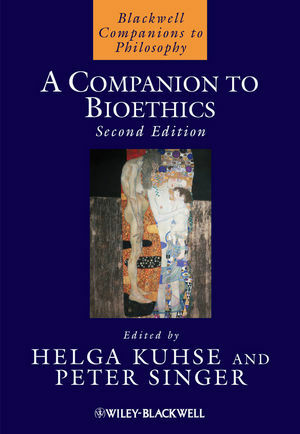 Helga Kuhse is Adjunct Research Associate, School of Philosophy and Bioethics, Monash University, Australia. She is the author, co-author, or editor of more than 150 professional articles and some 15 books, including Bioethics: An Anthology (co-edited with Peter Singer, second edition, Blackwell, 2006). Peter Singer is Ira W. DeCamp Professor of Bioethics in the University Center for Human Values at Princeton University and Laureate Professor in the Centre for Applied Philosophy and Public Ethics at the University of Melbourne. He is the author, co-author, or editor of more than 30 books, including Animal Liberation (first published in 1975), widely credited with triggering the modern animal rights movement, Practical Ethics (second edition, 1993), In Defense of Animals: The Second Wave (Blackwell, 2005), The Moral of the Story: An Anthology of Ethics Through Literature (co-edited with Renata Singer, Blackwell, 2004) and The Life You Can Save (2009). He was the founding president of the International Association of Bioethics, and in 2005 Time named him one of the 100 most influential people in the world.